What is your favourite movie for Ron and Hermione moments? Do Du read Ron/Hermione Fan Fiction? What did Du think about Ron and Hermione's KISS in Deathly Hallows? Die Fanauswahl: I loved it! Do Du want to see a KISS Von Ron and Hermione in the 7TH book?? Favorit Romione scene in Half Blood Prince film? Did anyone else think they were already a couple before they official time they got together in Deathly Hallows? I need help finding these 2 fanfiction stories and have been seaching everywhere. The first is one where it is after the battle and Romione is cleaning up the schloss and Ron holds her hand as they use wingardium leviosa. 1) After the battle, Ron and Hermione's Sekunde KISS was in Mr. Weasley's shed full of Muggle junk, because it reminded Hermione about her parents. Really, what were Du expecting? Romione FACT not facts. That is a fact about my lovely Romione couple. Romione rules. I have no idea why Joanne Katherine Rowling regrets it! Ron buried his head in his hands. Why didn't Hermione just listen when I sagte that we should go to St Mungos? he thought. Her screams pierced his heart, sharper than swords piercing the flesh. "Ron!" he looked up and saw Harry and Ginny running towards him. Ginny enveloped him into a tight hug "Its going to okay Ron. Hermione will be okay." He wanted to cry, he wanted to scream. The only time Hermione screamed like this was when.. He tried not to think about it. Harry sat Weiter to him and gave his arm a reassuring squeeze. Hey guys so i wanted to write this because a friend of mine (who is a harmony shipper) got into a conversation and she asked a Frage that made me really think. So this Frage i'm asking for everyone out there. It is would Du still ship Romione if it wasn't canon? Like what if harry/ hermione ended up together ?I think this is a very interesting Frage and no one has ever asked it before. Me personally, i would still ship it because they are so cute and there is so much evidence of Liebe there. So let me know what Du guys think? Ron was actually shaking! Nervousness was written all over his face. "Harry do Du think they'll like me? I mean Hermione's family? "helplessness was evident in the tone of his voice. Harry simply laughed. "Shouldn't Hermione be asking Ginny that question?Instead of Du asking me?" "Oh shut up Harry"snapped Ron, his face becoming a shade redder than his hair. Arthur entered the room to check and make sure everything was alright. I looked around the empty classroom, gripping the gitarre in my hand. Yes, I knew how to play guitar, and right now, I needed a moment of peace. I sat on one of the chairs, and lightly started to play, while Singen a song, that just popped out to my mind. 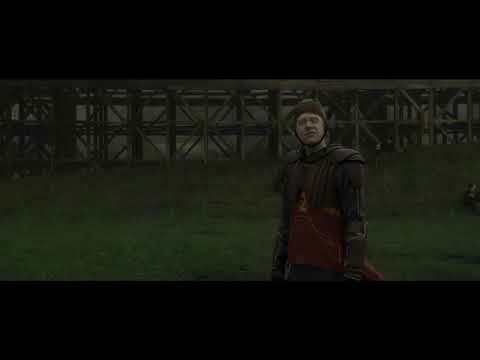 [i]"Ronald Weasley, you're so thick. The way Du look at her, it makes me feel so sick. Gusts of strong winds blew, messing up Hermione's hair and Von the time she and Ginny reached the Three Broomsticks with bulging shopping bags, Hermione's hair looked a lot like a lion's mane. She and Ginny managed to tame it down a considerable amount before entering the shop. Ron and Harry were already waiting for them, their butterbeers half finished. "Bloody Hell did the two of Du buy the whole Shop oder what?" greeted Ron. "Hermione wanted to make sure that she should buy something that you'd like as well," contributed Ginny. Make sure Du vote for Emma, Best Kiss, Daniel, and Best Movie!! We need to make sure they win!! The final confrontation between Harry and Lord Voldemort, and what happens afterwards, as seen through Hermione's eyes. What book would Du have liked to see Ron and Hermione kiss? Who can't Du stand Ron and Hermione being paired with besides eachother ?